2) Click the Get pro version button. 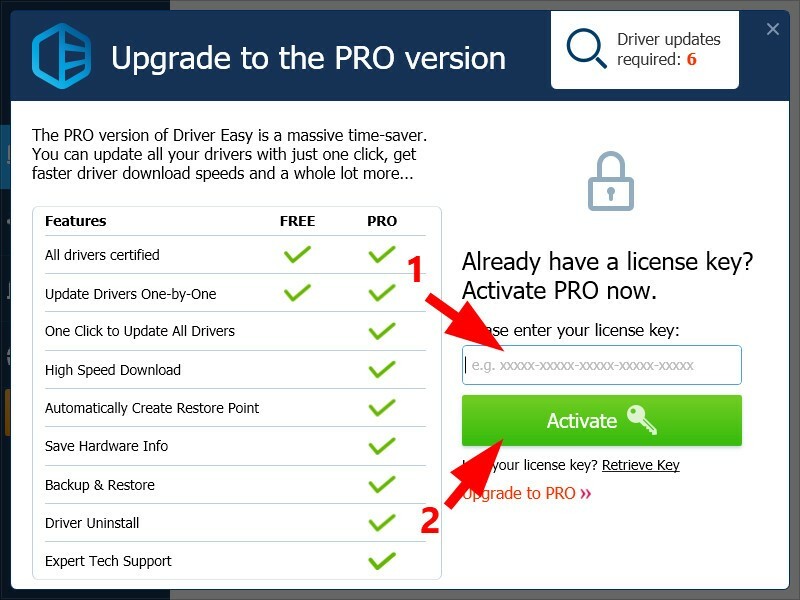 3) Enter your license key (use the license key in an email you’ve received after you placed your order), then click the Activate button. 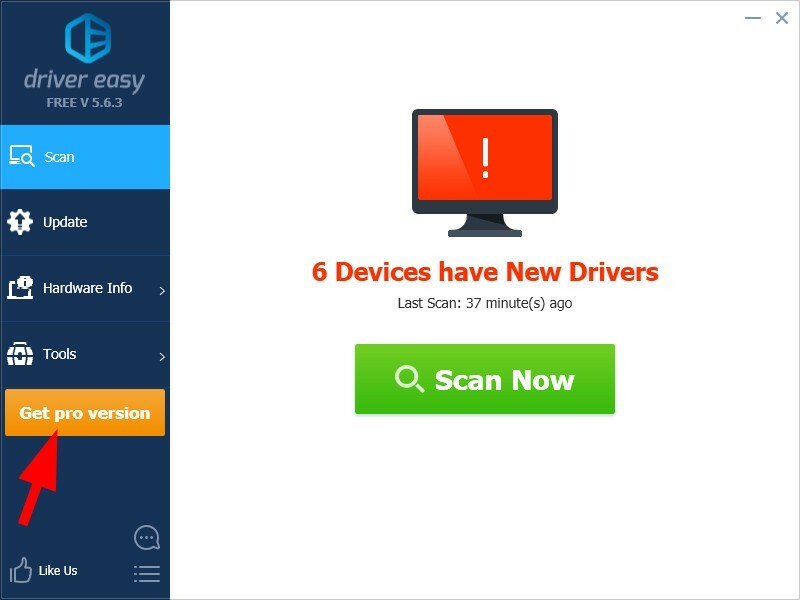 You’ve successfully activated Driver Easy Pro now!